Smells like Elle Fanning crushing tunes by Robyn and Sigrid. Apparently the guitar is dead, (except for the Shades song) replaced by uber repetitive jerky verse/chorus cut-paste song formulas and ultimately a cloud of unsubstantive gassy nebulae trapped in a neon bottle. 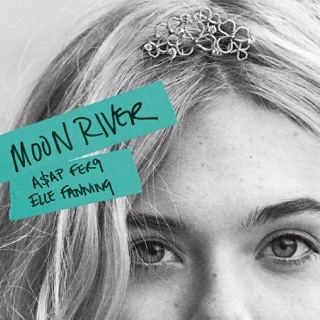 Elle Fanning does a great job of delivering breathy vocals, hence the 3rd star. Is this a new verision of Halycon? Ugh, classic Orbital is the best!!! Pleasantly surprised with this album. Some of tha covers are better than others, but Elle Fanning's cover of Lights is just phenomenal :-) It's definitely my favorite track! Standout tracks for me are 'I Was A Fool', 'Dancing On My Own', 'Lights', 'Don't Kill My Vibe', and 'Wildflowers'. Clara Rugaard's cover of Ariana Grande's 'Tattooed Heart' is pretty decent as well. It's gotta be a very hard song to sing, and I thought she did a pretty great job singing it.